Sit back, relax and give reason a chance…. Those who think that Pakistan is not their preferred destination for making investment should sit back, relax and give reason a chance. They should have a second thought and see if they can do any better if they chose to take their money elsewhere to places like India who claims to be a fast growing economy. India’s most dreaded news magazine, Tehelka has a different story to tell. It says that India may be thumping its chest for being the second fastest growing economy and being one of the few countries that was relatively unscathed by the global economic downturn. 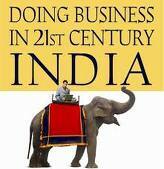 But when it comes to doing business, it fares worse than most neighbors, including archrival Pakistan. According to a report titled Doing Business 2011: Making a Difference for Entrepreneurs prepared by the World Bank and the International Finance Corporation, India is 134 in a ranking relating to the ease of doing business, while Pakistan, Sri Lanka, Bangladesh and Nepal are ranked 83, 102, 107 and 116, respectively. China is ranked 79. Among its neighbors, Bhutan, ranked 142, is the only country ranked below India. Worse, among the nine parameters based on which countries have been ranked, India’s position has declined in five and shown improvement on only three fronts. It has been able to maintain status quo on only one of the yardsticks. India has shown improvement in terms of paying taxes, starting a business and closing a business, while it has slipped on the counts of dealing with construction permits, registering property, getting credit, protecting investors and trading across borders. “India is one of the most preferred destinations for investments in the world today and is likely to remain so for next few years,” said DK Joshi, chief economist at credit rating agency and industry tracker Crisil Ltd. “As far as reasons for India being ranked so low in terms of ease of doing business, this could be because of procedural hassles, time taken in approvals, among others. The pace of reforms, too, is slower than anticipated and all these factors results in lower ranking,” Joshi added. Russia my love, bye bye yet again…. In 2001 and 2002, real GDP growth in large emerging market economies will exceed that of the G7. At end-2000, GDP in US$ on a PPP basis in Brazil, Russia, India and China (BRIC) was about 23.3% of world GDP. On a current GDP basis, BRIC share of world GDP is 8%. Using current GDP, China’s GDP is bigger than that of Italy. Over the next 10 years, the weight of the BRICs and especially China in world GDP will grow, raising important issues about the global economic impact of fiscal and monetary policy in the BRICs. In line with these prospects, world policymaking forums should be re-organized and in particular, the G7 should be adjusted to incorporate BRIC representatives. It was estimated that if things went right in less than 40 years, the BRICs economies together could be larger than the G6 in US dollar terms. By 2025 they could account for over half the size of the G6. Of the current G6, only the US and Japan may be among the six largest economies in US dollar terms in 2050. The list of the world’s ten largest economies may look quite different in 2050. The largest economies in the world (by GDP) may no longer be the richest (by income per capita), making strategic choices for firms more complex. Since we began writing on the BRICs, each country has grown more strongly than our initial projections. Our updated forecasts suggest the BRICs can realize the ‘dream’ more quickly than we thought in 2003. 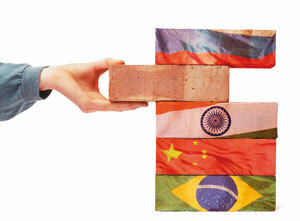 The case for including the BRICs directly in global economic policymaking is now overwhelming. We present the prospects for another set of developing countries, a group we call the N-11—the Next Eleven. Of them, only Mexico and perhaps Korea have the capacity to become as important globally as the BRICs. We introduce a Growth Environment Score (GES), which aims to summarize the overall structural conditions and policy settings for countries globally. Improving long-term foundations is key to converting potential into reality. Encouragingly, the BRICs themselves are all in the top half of the rankings for developing countries. While the BRICs are generally progressing, there is a need for considerable further policy improvement in each. Thus the term BRICs, coined by Goldman Sachs’ chief economist Jim O’Neill in 2001 and referring to Brazil, Russia, India and China, has come to be widely used as a way of describing the transfer of economic power to the emerging markets and away from the developed world. But the realities are now shifting away from Brazil and Russia to Asia and (South) Africa and a new economic power block is coming into shape which only includes China and India from the original BRICs lineup, with Brazil deemed now to be relatively well developed, and the love affair with Russia is seen as over. The new buzzword among hedge fund managers in London, CIVITS–China, India, Vietnam, Indonesia, Turkey and South Africa–are tipped to be the hotspots to watch for growth through the current decade. Wall Street Journal, in an article titled, Forget the BRICs-its all about the CIVITS, has reported that it’s a far cry from the start of the last decade, when Goldman Sachs argued that the combined economies of the BRICs could eclipse the combined economies of the wealthiest countries of the world–including the U.S. and the whole of Europe–by 2050. China is well on its way, and its inclusion in the CIVITS is more than deserved. Its economy overtook Germany in 2007 and then surpassed Japan in July 2010, catapulting it into a league of its own because of its breakneck growth. The U.S. bank now says China will overtake the U.S. by 2027 to become the world’s largest economy, while PricewaterhouseCoopers pitches it even earlier, at 2020. But, while timing is the only difference of opinion over China’s potential, India has drawn slightly more mixed views. The world’s second most populous nation suffers from poor infrastructure, volatile disputes with its neighbors and high levels of bureaucracy that hinder its ability to achieve its potential–not insurmountable challenges, but certainly ones to take into account. Goldman Sachs sees India, currently the world’s eleventh largest economy, outstripping the U.S. by 2050.But if opportunities in Brazil are on the wane given its relative self-sufficiency in the agricultural, mining, manufacturing and service sectors, the story in Russia is the opposite. The world’s biggest country holds the largest reserves of mineral and energy resources globally, yet faces a shrinking population and an economy that is struggling to recover after falling off a cliff during the economic downturn. Earlier Thursday, the International Monetary Fund said the Russian economy faces a big challenge in withdrawing financial stimulus from its economy, with inflationary fears on the rise following the country’s worst drought in decades. So if Brazil and Russia are old news, what’s behind the inclusion of new entrants to the top picks for emerging markets growth? On the face of it, South Africa’s entry is a little strange. But hedge funds say the country is a proxy for the continent as a whole, which has seen its collective GDP soar to equal roughly Brazil’s or Russia’s.Africa’s largely a commodities story, with rising demand for minerals and oil driving consumers to pay dearly for its natural riches. South Africa is already the largest energy producer and consumer on the continent, and a top producer of gold, platinum and palladium. Indonesia meanwhile is already the largest economy in Southeast Asia and a member of the G20, and has emerged from the global downturn in better shape than its neighbors. Again, it’s a natural resources story, producing and exporting oil, natural gas, tin, copper and gold. Vietnam meanwhile makes a lot of sense. It’s one of the world’s fastest growing economies attracting vast foreign investment and a significant agricultural exporter. PWC has said Vietnam could be the fastest growing of the emerging economies by 2025 with a potential annual growth rate of almost 10% pushing the size of the country’s economy to around 70% of the U.K.’s by 2050.